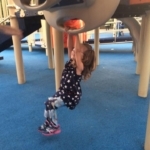 “Sequential orthotic management” is a relatively new term, but most lower extremity clinicians who treat children are very familiar with the philosophy it describes. 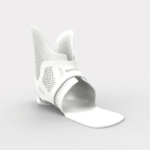 The approach may go by other names, but at its root, it is the belief that a patient should be fit with the least cumbersome orthotic device possible, such as a low-profile in-shoe foot orthosis, and then gradually progressed to higher-profile or more supportive orthoses if more stability or durability is needed. There is scant scientific literature on this topic, but researchers from the Georgia Institute of Technology in Atlanta used the term “sequential orthotic treatment” to describe treatments for idiopathic toe walking (ITW) in their recently published randomized controlled trial. In that study, nine children wore foot orthoses with an attached carbon fiber footplate, and an equal number wore articulated ankle foot orthoses (AFOs). They were evaluated before treatment and after six weeks, when they stopped wearing the orthoses. Both groups showed significant improvement in kinematics compared with baseline, with the AFO group exhibiting better control at initial contact than the foot orthosis group. Once the devices were removed, however, the AFO group did not immediately maintain the improvement, while the foot orthosis group did. In addition, parents preferred the foot orthoses for ease of use and appearance. The predictable nature of many pediatric conditions leads some practitioners to use orthoses proactively, further extending the scope of sequential orthotic management. The authors suggested that, because both devices produced benefits, treatment might begin with the less restrictive device. If the foot orthosis proved unsuccessful after a time (eg, six weeks), the patient could be advanced to an articulated AFO. 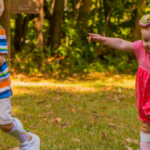 The timing of the switch from a foot orthosis to a higher-profile device is primarily based on whether the child is progressing functionally, said Kinsey Herrin, CPO, who was a coauthor of the study while a student at Georgia Tech, and who now practices with Ortho Pro Associates in Miami. “Close monitoring of the clinical presentation, such a maintenance of range of motion and strength, are important factors that help determine the course of orthotic treatment,” Herrin said. Parental feedback on how the child is walking in a nonclinic environment is also helpful, she said. And of course, she said, sequential orthotic treatment exists beyond the diagnoses of idiopathic toe walking and other lower extremity impairments. “We sequentially treat plagio/brachycephaly by recommending repositioning first and then later using a cranial remolding orthosis,” Herrin said. Awareness of the possibility of sequencing orthoses to achieve more management options requires continual assessment and reassessment of the patient when observing mild-to-moderate gait-related impairments and disability, McNerney said. 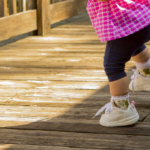 Such issues can emerge even when a child’s care is consistent with published foot care guidelines, and might warrant graduated, sequential orthotic treatment. Some practitioners will also use orthoses proactively, further extending the scope of sequential orthotic management. Assessment technologies such as magnetic resonance imaging, ultrasound, and electromyography can help to identify early anatomical damage caused by inflammatory or other processes and allow clinicians to intervene with an orthosis to prevent or minimize pain or deformity. [5-7] Fairburn et al demonstrated that the use of ultrasonography and instrumented gait analysis in patients with juvenile idiopathic arthritis (JIA) allows both specific lesions and functional deficits to be detected and targeted with customized orthoses in addition to physical therapies and steroid injections. The predictable, progressive nature of the pathogenesis of some pediatric conditions also can help the practitioner look for opportunities to make subtle changes in orthoses. Children with Charcot-Marie-Tooth (CMT) disease, for example, experience a very specific sequence of muscle loss that leads to predictable deformities, said Ken Cornell, CO, who practices with Cornell Orthotics and Prosthetics in the Boston area. Although practitioners can draw on a growing body of research to help guide sequential orthotic management in children with progressive conditions like CMT (see Orthotic management: A symptom-based, dynamic approach LER), clinical experience remains a key part of the process. “It’s not easy, until you’ve developed the experience, to just know when things need to be modified,” she said. One of the most common reasons for starting pediatric patients with the least restrictive orthosis and proceeding in a reasoned, incremental manner is to avoid over-bracing the child. Correcting calcaneal valgus and limiting abduction goes a long way in such cases, DeCaro said. For initial bracing, he employs a prefabricated 30-mm depth UCBL (University of California Biomechanics Laboratory) with lateral flanges and medial skive that he designed. Children often find above-ankle devices uncomfortable to wear and in need of frequent adjustment, DeCaro said. “No joking, probably eighty percent of patients who come to me with a brace end up in a UCBL, because they’ll have more comfort, better range of motion [because their ankle is freer], and better subtalar joint motion, and they and their parents are much happier,” he said. Many clinicians also try to avoid over-bracing within the AFO category. Cornell called carbon fiber bracing a “game changer” in delaying or eliminating the need for a solid AFO in some patients. “You literally can restore all three stance phase rockers, eliminate foot drop in swing phase, and control the proper amount of transverse plane rotation. So with all that, you basically are normalizing the motion of the foot and ankle,” he said. Even then, if the more conservatively treated child improves, the brace can be adjusted to make it less rigid or supportive, he said. CHOA therapists work with some ITW patients week in and week out to help them maintain range of motion in the foot and ankle, Barner said. “If we can get good results that way, sometimes we can make a less-invasive type of device, such as a foot orthosis with a carbon plate under it and, obviously, a good pair of shoes,” he said. 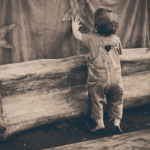 McNerney echoed Barner’s emphasis on collaboration between therapists and orthotists, especially with regard to children whose orthotic needs may change over time. Sequential orthotic management is well served by the idea that devices are designed with anticipation of change in mind, Herrin said. “For example, this allows a patient who needs the stability of a solid-ankle AFO to start with a blocked articulated AFO and later progress to an articulated AFO with a simple cut of the posterior aspect of the orthosis,” she said. Adjustability has long been a cornerstone of prosthetic device design, and similar features can be incorporated into orthotic devices for patients whose needs may change, Barner said. “We consider those from the get-go if we clearly anticipate the patient either improving or worsening,” he said. Modifying an orthotic device to make it smaller, more flexible, or less supportive is usually easier than trying to make a device larger or more rigid, Barner said. “If a patient’s condition worsens even with the orthosis and they begin to need something more substantial, we either need to add to the brace or make an entirely different one to give support,” he said. That might mean, for example, transitioning from an AFO to a KAFO (knee ankle foot orthosis) to improve stability during standing and walking despite weakened muscles. Clinical support for sequential orthotic management so far is outpacing the publication of scientific evidence on which to base decisions related to device progression. But there are also signs that this may be starting to change. 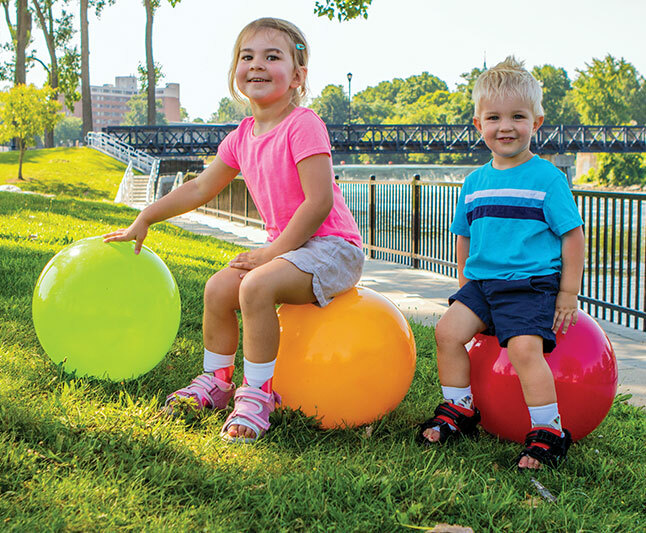 A recent meta-analysis  of foot care interventions for patients with JIA called for more well-designed clinical trials to suss out the relative benefits of various orthotic interventions for pediatric patients and help develop clinical standards. Specifically, the panel suggested investigation of how use of foot care management options can be improved to increase therapeutic effect−findings that could potentially help shape the future of sequential orthotic management. A comparison of orthoses in the treatment of idiopathic toe walking: A randomized controlled trial, Herrin K, Geil M. Prosthet Orthot Int. 2016 Apr;40(2):262-9. doi: 10.1177/0309364614564023. Epub 2015 Jan 27. The effectiveness of a multidisciplinary foot care program for children and adolescents with juvenile idiopathic arthritis: an exploratory trial, Hendry GJ, Watt GF, Brandon M, Friel L, Turner DE, Lorgelly PK, Gardner-Medwin J, Sturrock RD, Woodburn J. J Rehabil Med. 2013 May;45(5):467-76. doi: 10.2340/16501977-1130. Ultrasound in rheumatology, Grassi W, Salaffi F, Filippucci E. Best Pract Res Clin Rheumatol. 2005 Jun;19(3):467-85. Review. Ottawa Panel Evidence-Based Clinical Practice Guidelines for Foot Care in the Management of Juvenile Idiopathic Arthritis, Brosseau L, Toupin-April K, Wells G, Smith CA, Pugh AG, Stinson JN, Duffy CM, Gifford W, Moher D, Sherrington C, Cavallo S, De Angelis G, Loew L, Rahman P, Marcotte R, Taki J, Bisaillon J, King J, Coda A, Hendry GJ, Gauvreau J, Hayles M, Hayles K, Feldman B, Kenny GP, Li JX, Briggs AM, Martini R, Feldman DE, Maltais DB, Tupper S, Bigford S, Bisch M. Arch Phys Med Rehabil. 2016 Jul;97(7):1163-1181.e14. doi: 10.1016/j.apmr.2015.11.011. Epub 2015 Dec 18. Review.